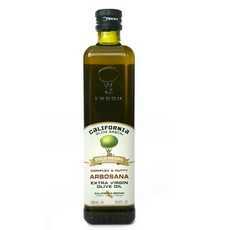 Enjoy California Olive Ranch Arbosana Olive Oil. A Complex Oil With Flavors Of Fresh Tomato And Almonds. Fabulous On Bruschetta Or As A Drizzle On Top Of Soups. Also Pairs Well With Chocolate. (Note: Description is informational only. Please refer to ingredients label on product prior to use and address any health questions to your Health Professional prior to use.